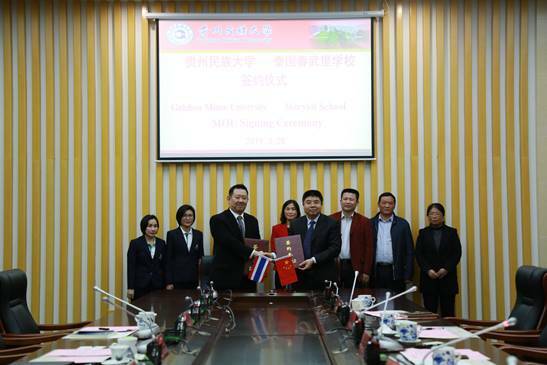 On March 28th, Dr. Steven Chana Kitikiatisak, the Executive President of Maryvit School in Thailand, and his delegation visited our university for exchange. President Tao Wenliang met with Kitikiatisak and had a discussion in the conference room on the first floor of the administrative building of the new campus. 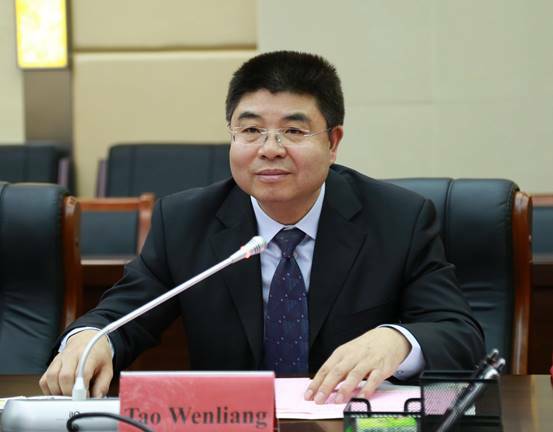 President Tao Wenliang attended and delivered a speech, and the responsible persons of relevant colleges and functional departments attended. 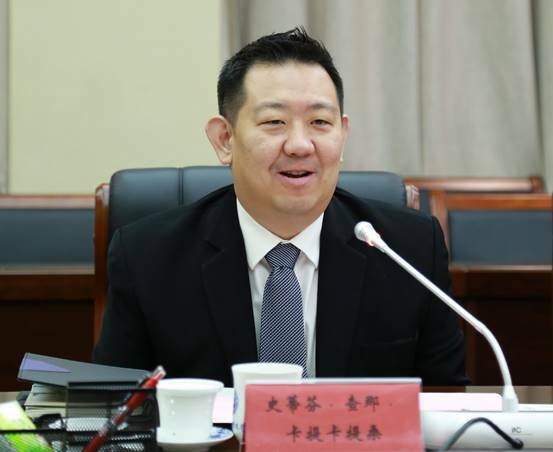 Zeng Li, the director of the Office of International Exchange and Cooperation, hosted the meeting. In the welcoming speech, Tao Wenliang expressed warm welcome to Dr. Steven Chana Kitikiatisak and his delegation, and gave a brief introduction to the history of the school, the strength of teachers, and the characteristics of running a school. He said that GZMU attaches great importance to international academic exchanges and cooperation, implements the “Belt and Road” initiative, strengthens the construction of cooperation platforms, and continuously consolidates and expands the pattern of foreign cooperation and open education. He hoped that the two sides will further strengthen exchanges and interactions and make positive contributions to better promoting the in-depth cooperation between China and Thailand. 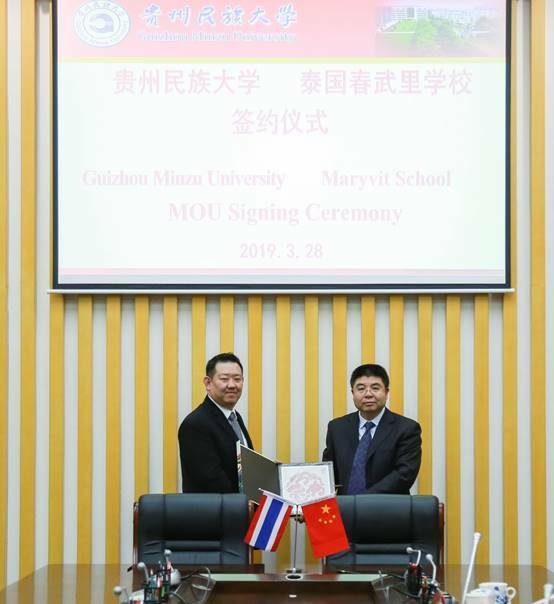 Dr. Steven Chana Kitikiatisak, the Executive President of Maryvit School in Thailand, said that this is the third time to come to GZMU. The two sides had a good foundation for cooperation before. He briefly introduced the purpose of this visit and introduced Maryvit School briefly. He expressed deep gratitude to the warm reception of our university and expressed his willingness to further deepen cooperation and exchanges with our university. 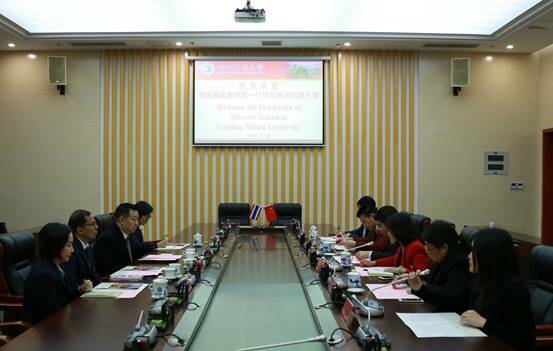 He believes that the two sides can consolidate and expand the pattern of cooperation in running schools and increase opportunities for exchanges between teachers and students to promote China-Thailand friendship. 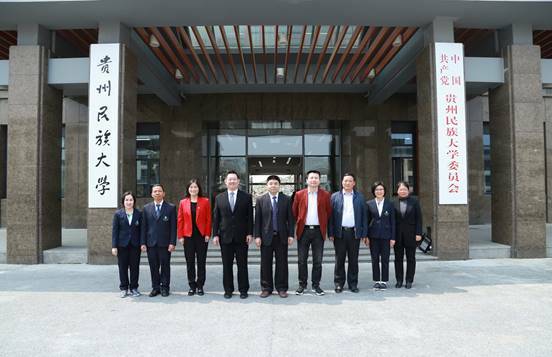 Xiao Tangjin, Dean of the School of Foreign Languages , and Li Xianjun, deputy secretary of the Party Committee of the College of Literature, respectively introduced the relevant situation of the School of Foreign Languages and the College of Literature, and expressed their willingness to further strengthen cooperation between the two sides. Tao Wenliang and Kitikiatisak signed a memorandum of cooperation. After signing MOU, the two sides exchanged souvenirs and took a group photo.